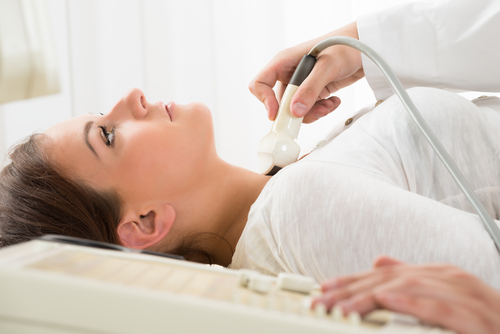 Do you know how important it is to get your thyroid tested? I have put together the definitive guide to help you understand the tests, the evaluations and interpreting the results when it comes to your thyroid health. If you are at all worried that you might have thyroid disease, let me walk you through everything you need to know today. Your thyroid is going to play a major role in your overall health, and more and more people are coming to realize that. Whether it’s for your energy, your mood, your weight, or to prevent the onset of chronic diseases (1). Testing is important because you need to give yourself a sense of where your thyroid health is – if you don’t know, how can you be sure you are doing the right thing? It’s not always clear who has thyroid disease, and who does not, so testing is going to give us a foundational understanding of where you stand with risk and with treatment. Normal – Classifying your thyroid as “normal” does not always mean that your health is where it needs to be – it just means that it is meeting the bottom-line expectations or acceptability. Optimal – Instead, we should be aiming for “optimal” – which is always where your thyroid health should be (it is also a narrower approach). We will continue with this in mind. 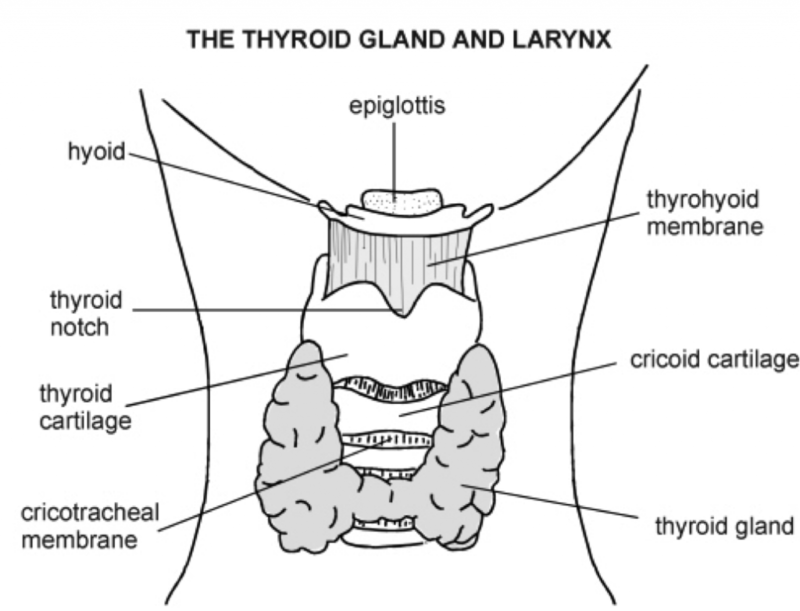 Your thyroid is a butterfly-shaped gland that sits in the back of your throat. On a very basic level, it makes hormones that govern metabolism. One of the main things that the thyroid does is that it absorbs iodine. We get iodine from our diets, and iodine is created in our blood stream. The thyroid takes that iodine, and it pumps it into a concentrated form. This reaction creates hormones. Key Insight: When we think of terms like “T4” and “T3” that is the number of iodine that is involved in the thyroid production. Once these hormones are created, they are released into the bloodstream. This is the part where they are secreted in order to perform various jobs all throughout the body. This is going to mainly consist of T4, but we might also see some T3 and T2 in there as well. These hormones are activated by thyroid-stimulating hormone (otherwise known as TSH – which we are going to be talking a lot about as we move forward). There is also something called “peripheral activation” in thyroid hormones. This is where T4 is broken down into T3 and T2 by the organs in the cells. While we might consistently attribute thyroid problems to both of these diseases, we also need to briefly consider the fact that these problems may be born from medications. Someone who is taking thyroid medications that are not helping their body might also be suffering from an underactive or an overactive thyroid gland. In Conclusion: Whether we are considering an underactive thyroid gland, an overactive thyroid gland or a mismanagement of thyroid medications, we know how important our thyroid is and how we can take care of it – with testing! When we begin a discussion on thyroid testing, we are going to be looking at blood tests. Let’s go through the typical tests which will help us establish a baseline for our thyroid health, and will give us a sense of how our thyroid is performing overall. This is the test that is going to be used in almost all circumstances. There are some different schools of thought on this subject, but I think it is best that we understand that this test is important, but it’s not the be all and end all for our thyroid health. Overall, this test is an opportunity to understand how much work the pituitary gland in our brains is asking from our TSH. When the pituitary is working properly, this number is backward. This means that when it is high the thyroid is underactive, and when it is low the thyroid is overactive. According to most labs, the normal range is 0.4 – 4.5 (2). This large testing range explains why analyzing these scores requires a great deal of finesse and thought. It is also why diagnosing for treatment is so critical. A range like this is far too broad, so we need to have other tests help us define what is optimal – rather than what is simply considered normal. Free Hormones – those which are free and active from carrier proteins. Total Hormones – those which are present, but not active. Thyroglobulin is protein that is innate to the thyroid. This test is going to give us a sense of whether or not there is a risk for any inflammation in the thyroid. Anti-thyroglobulin – an attack on the thyroglobulin, which is a common aspect of Hashimoto’s disease. Anti-thyroperoxidase – an enzyme involved with hormone production. Key Insight: Thyroid antibodies are not always there, and they can be very erratic (in ways that are not meaningful for our bodies). Also known as thyroid receptor binding protein, this is a test that is a good indication of Grave’s activity. 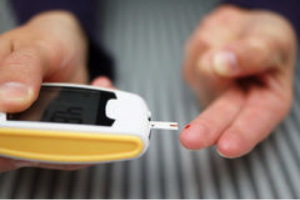 This is typically one of the first tests done for diagnosis, and it could also speak to a combination of Hashimoto’s and Grave’s disease – which is quite possible. It is also indicative of Grave’s eye disease (3). Think of it like your right hand and your left hand, reverse T3 is the mirror opposite of T3 in your body. Reverse T3 is inactive, the main thing that you make out of T4 – because of the surplus. When it is too high, your body is stowing it – or you are taking too much thyroid hormone. Key Insight: When there is something wrong with your reverse T3 test, it is typically because something is happening. Sorting out why there is so much, and managing those factors, is going to be critical to your health. 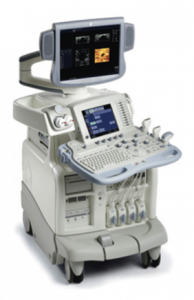 Ultrasound – Please get an ultrasound. It is important, especially because of instances of thyroid cancer (4). Get yourself screened a couple of times a year. There is no radiation, so it is completely harmless – and very helpful. Self-Exams – Drink some water, look in the mirror and learn to feel the structure of your thyroid. Know what’s normal, and when something feels wrong. Once you know normal, you’re definitely going to know if something is amiss. Doctor’s Exam – Good part of a yearly physical. At the first stage of diagnosis, it is important to understand what gave rise to your thyroid problems in the first place. Functional medical tests are available to help understand why someone is developing thyroid disease in the first place. By testing the root causes, you can understand what steps will help your immune system and give you the best chance of reversing thyroid disease. In Conclusion: Test, don’t guess! Find out your own personal needs, address them and resolve them so that you know you are getting exactly what your body needs. Really, you want to see this at the lower end of the normal range. But not below it (0.5 to 1.5 is my personal favourite). If someone does have any structural problems, then something narrower might be in order (0.5 to 0.9). Some authors argue that they should be at the high end of the normal range, I argue that you may not need to be in the high end of the range. Studies comparing people without thyroid disease to those with it do not find that healthy people free of thyroid disease have higher levels of free hormones. In many cases, taking thyroid medication can cause hormones to be higher when the TSH is suppressed (which can be a danger). Normal ranges exist for this test, but the optimal that we want to consider is zero. There is a high rate for false positives with this type of test, and more than 40% of those who have Hashimoto’s do not have positive antibodies (5). As we know, most of the T4 that the body produces is intentionally made into reverse T3. When reverse T3 is too high the most common cause, by far, is hyperthyroidism. Either from someone making too much, or taking too high of a dosage. This is not something I track on an ongoing basis, as it is usually something worth screening in the beginning. In Conclusion: It’s not practical to test everything all of the time, so we need to be aware of schedules and frequencies. This way we know enough about our bodies, but we’re not breaking the bank and constantly testing. Testing For Diagnosis – This is going to cover all of the tests that I previously mentioned (a full thyroid panel). This way you can really see your baseline levels (and where you stand with your thyroid functions). Testing for Dosage – Is your medication working well, is it the right type, and how can we best explain your symptoms? What time of day do I test? Do your blood tests first thing in the morning, before eating, and before taking your thyroid medication – you will want to take your daily dose of medication immediately after your tests. 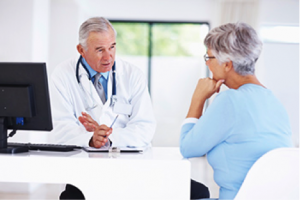 T3 Too High – it is typically because you took your thyroid medication before an examination. Overall, it speaks to the absorption cycle of T3 in your body, and this could lead to well-intending doctors prescribing improper medications. TSH Too Low – It’s a bit controversial, but it’s a tough thing to understand. There might have been some who work on a too low TSH, but it’s a numbers game. A low TSH is fine for some, but not fine for others. It’s a risk factor, and so it’s worth understanding. Toxicology and adrenal function are important “root causes” to identify when this is the case. Erratic Antibody Levels – thyroid antibodies are good to confirm diagnoses, but they don’t rule it out when they aren’t around. They’re also important to note for fertility (6). High antibodies, four digits and above, can cause issues. Otherwise, there probably isn’t a lot to say about your problems. They can go up and down randomly, so keep that in mind and do not worry too much. TSH Drift – Your TSH isn’t going to level out immediately. It can take about three months for your TSH to level out after you have made a change in your lifestyle. If it’s moving down, it might be enough to say that it was the intent that is wanted, but it won’t reach that state until enough time has passed. Patience is key, so make sure you are keeping an eye on it’s steadiness. Full panel of testing begins to understand your body’s baseline for health. After treatment has started, there will be focused re-tests that are dialed in specifically on treatment. After your body has reached a steady state, there are tests once a quarter (one or two). Post-program, you will be looking at tests twice a year. You may also enjoy tests approximately four weeks after dosage changes. As well, any time that you have unusual symptoms where you think your thyroid might be the culprit – this is going to circle back to the importance of self-exams and your thyroid health! Do you need your thyroid tested? Testing is not the goal, your overall health is! It is entirely possible to understand the health of your thyroid, and to combat any issues as they come up. Please take the time to complete my thyroid quiz, and give yourself some peace of mind about the state of your thyroid today.